Welcome to our tennis family! 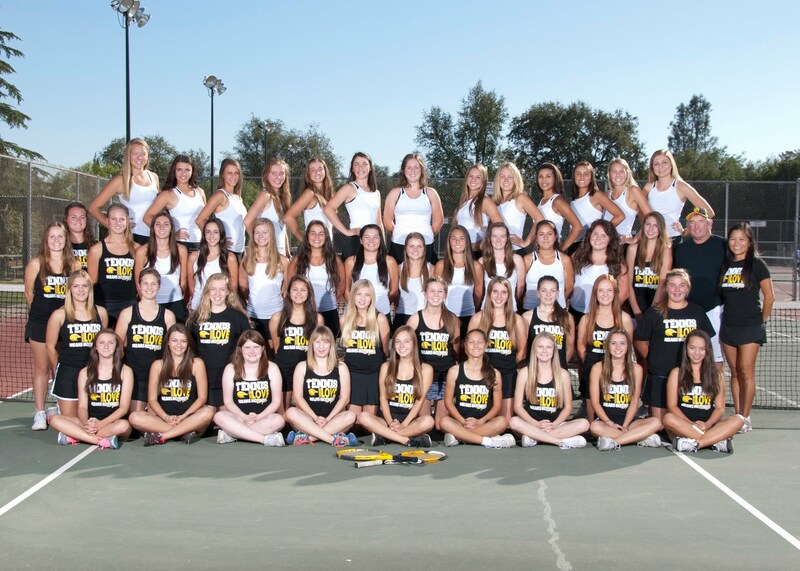 The Ladies Tennis Team is only a Varsity sport but our goal is to provide as many girls the opportunity to play tennis. That means there are no official freshman or junior varsity teams. Everything we do outside of the Black team (Varsity) is EXTRA! We are able to take on such a large number of girls ONLY BECAUSE OF PARENT & FAMILY SUPPORT! Thank you so much to all the parents who appreciate how we try to be inclusive of everyone! What's the format? Only 12 girls play officially at every varsity match, 6 singles & 3 doubles teams. My overall goal as a tennis coach is to teach this lifetime sport to as many girls who are interested and help them be successful at every level. This year the team will be split into 2 levels, black team (Varsity) and gold team (JV). What's the difference between black & gold teams? Our black team has been very successful finishing in the prestigious Fresno Tourney with over 100 teams participating. We are a contender in the league and section and our top players take individual honors. This team has the most rigorous schedule and a required time commitment. This year I will be keeping 18-22 girls and 18 will get to travel. Our gold team will have a limited schedule with the goal of 4 matches and the top girls going to a weekend tournament. Practice will be limited to 2 times a week with "bonus" morning serving court time (black team will be invited too). We highly recommend the girls on the team to be committed if they want the opportunity to play on the black team. This team will be made up of seasonal and new players. 18 girls will get to travel. When does the season start? The season starts the week before school starts...make sure to get your physical and turn in your sports packet and donation before the first day of practice! The season finishes around the end of October or beginning of November depending on what team you are on. How do you get on the teams? Girls are first split up according to the amount of tennis they have played, whether they are playing tournaments, if they have a ranking. A ladder is then established based on results. On the black team there are separate singles and doubles ladders. It is recommended to only try for one ladder. There is only so much time to challenge. Is there movement between the black & gold teams? After the black & gold teams are established it is possible for only doubles teams to move up if they are undefeated at the top spot of the gold team they were on. It is possible for doubles teams to move down if they continually lose at the bottom spot of the team they are on.